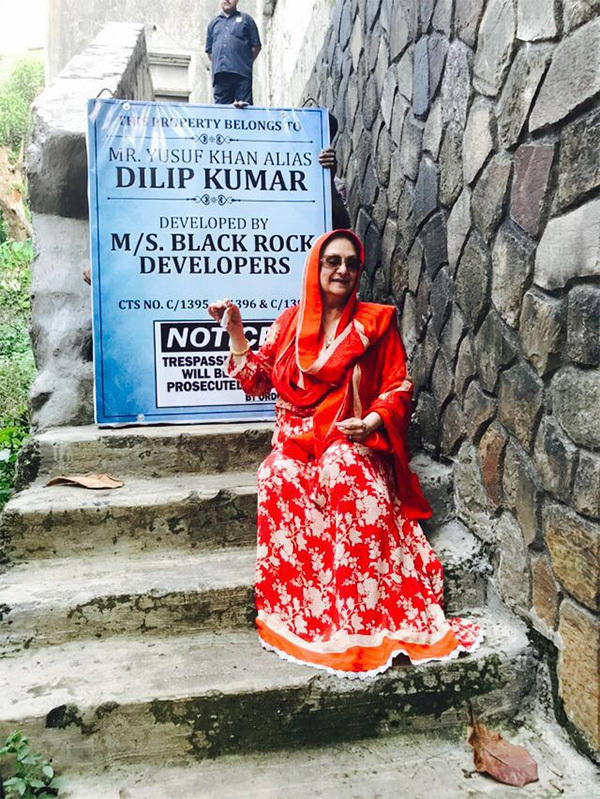 Veteran actors Dilip Kumar and Saira Banu couldn’t hold their happiness and excitement as the Supreme Court finally handed over the possession of their Pali Hill bungalow to them on Tuesday. Saira Banu even shared her elation on Dilip Kumar’s Twitter page. She also shared some of her pictures with the keys of the bungalow and, referring to Dilip Kumar, said that “Sahab” is overjoyed on getting the possession back as the bungalow has been his residence for decades. She also thanked friends and fans who prayed for them. The yesteryear beauty looked elated to get the keys back. The bungalow had been in the possession of a Mumbai based real estate firm, Prajita Developers Pvt Ltd, that was appointed for the development of the property. The dispute between the real estate company and Dilip Kumar went to court almost a decade ago after the company failed to develop the property as agreed and reportedly left it vacant. According to some previous media reports, in August this year, the court asked Dilip Kumar to deposit a sum of Rs. 20 crore to the real estate firm within four weeks through a demand draft. The veteran actor deposited the amount as per the order and hence obtained possession of his bungalow. And it was not just his wife who was overjoyed with the possession, but he himself looked elated.